Our obsession with iPods has taken another giant leap forward with the iPillow iPod. This is a giant, 16-inch stuffed iPod with integrated speakers. 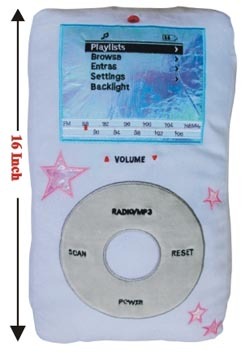 So now you can truly lay in bed and showing your iPod just how much you really love it. $18.